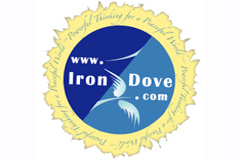 Everything changes, nothing stays the same and that goes for us here at IronDove too. Pegasus has done an amazing job transforming this site into a very cool searchable, more interactive space for us to meet and share ideas. Stay tuned for stage 2. In the meantime, Thank You all for joining us thus far on this amazing journey of possibility!